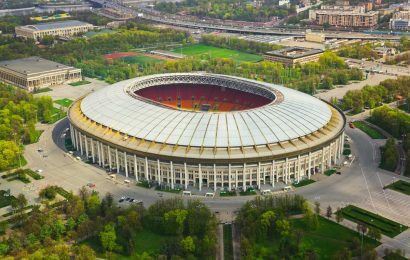 What will the homes of the future look like? 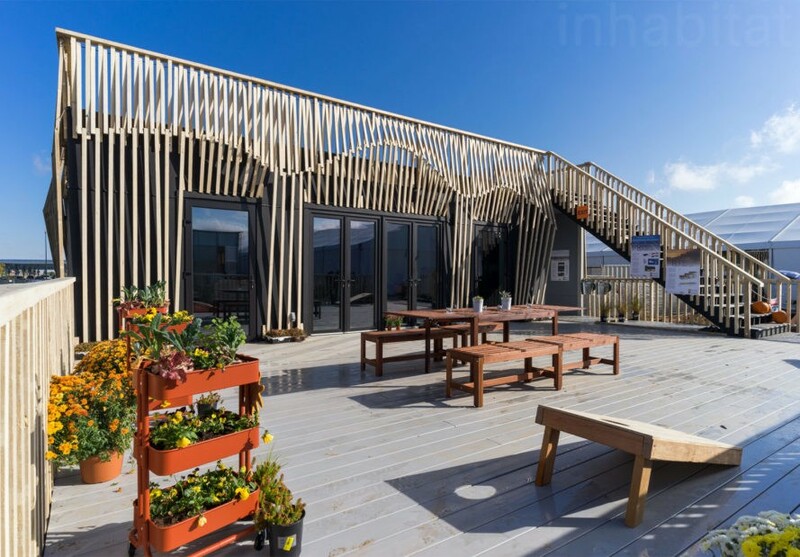 If the impressive solar structures at this year’s Solar Decathlon are any indication, they’ll be smarter, more energy efficient, and a joy to live, work, and play in. 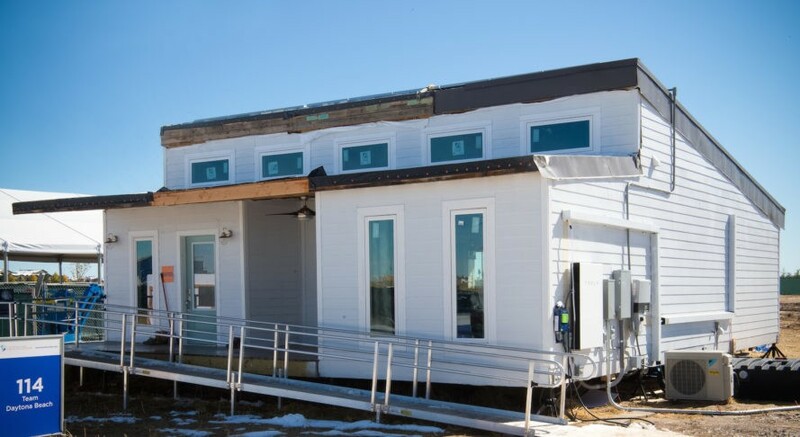 This month, eleven university-led teams designed, built, and presented futuristic houses at the U.S. Department of Energy Solar Decathlon 2017 in Denver, Colorado. 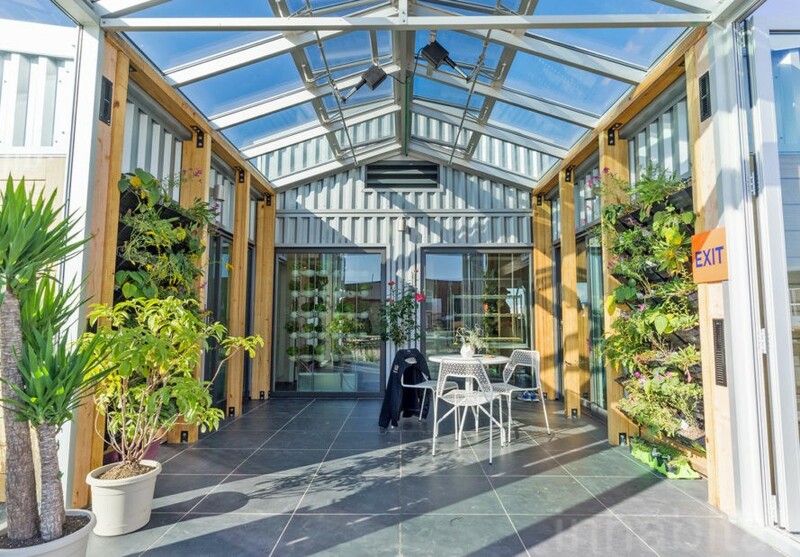 In the lead up to tomorrow’s unveiling of the winner, we’ve rounded up this year’s 11 sustainable dwellings to give you a sneak peek into the future of housing. 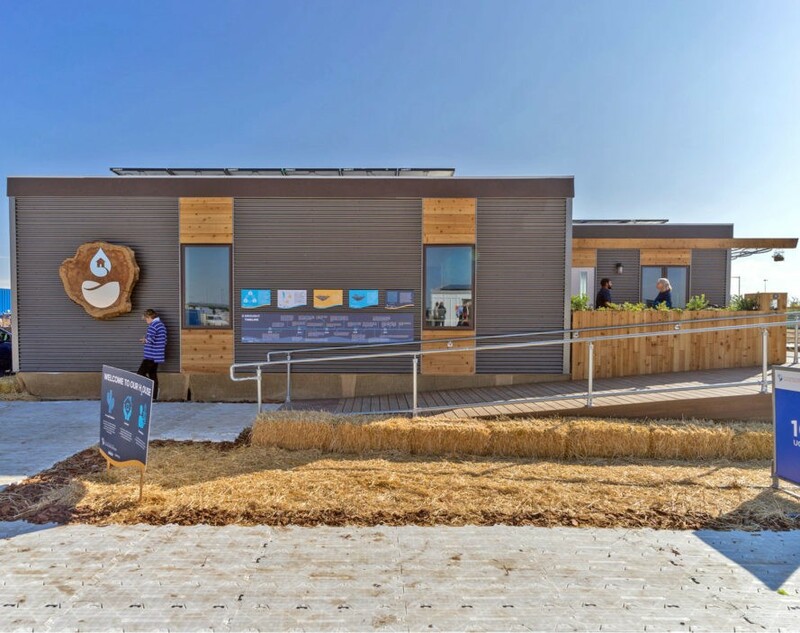 California’s water crises prompted the students at UC Davis to design a drought-sensitive solar home called Our H2Ouse (pronounced “our house”). Built of drought-felled timber, this high-tech home uses 50% less potable water than a typical residence thanks to smart technology, water flow controls, gray water recycling, and other water conservation features. 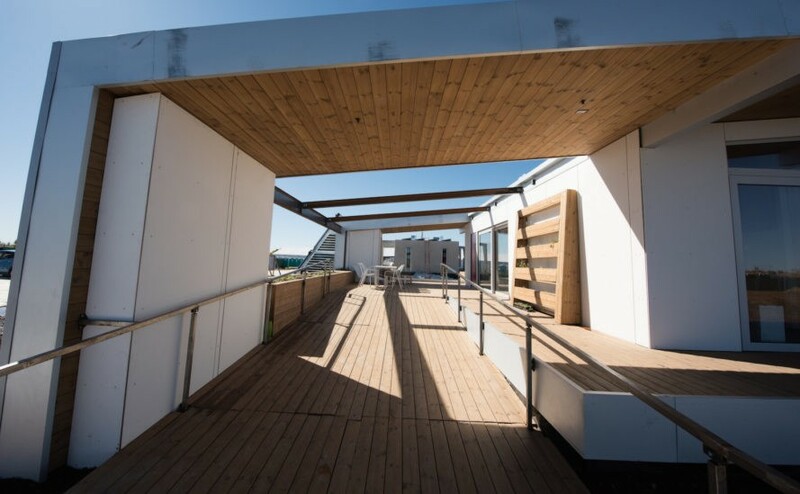 Unlike most of Solar Decathlon’s entries, NeighborHub isn’t a home at all—it’s a collaborative community space. 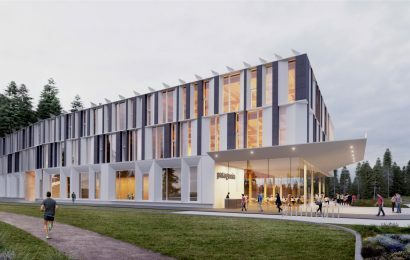 The Swiss Team designed this eco-friendly structure to serve as an educational resource, primarily for suburban neighborhoods, where local residents can learn and experience seven sustainable themes: renewable energy, water management, waste management, mobility, food, material choices, and biodiversity. 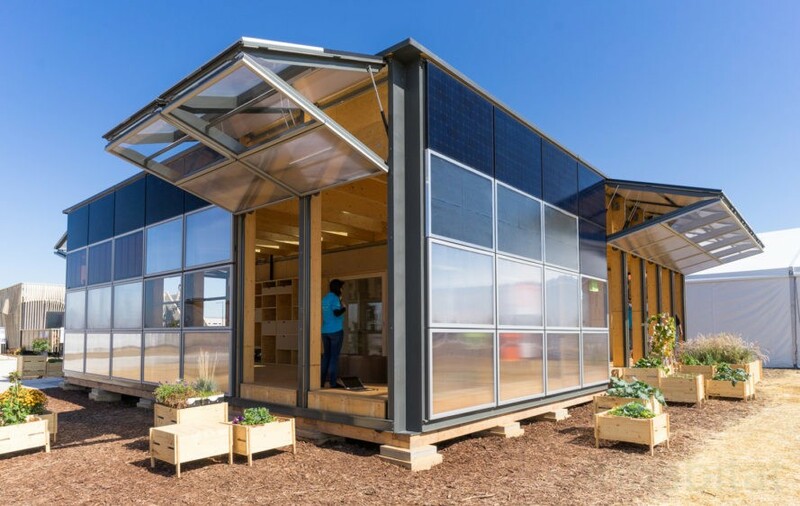 The University of Maryland student team created reACT (Resilient Adaptive Climate Technology), a smart sustainable home that can easily adapt to different needs and environments. The beautiful self-sufficient home produces clean energy, clean water, and nutrient-rich foods all the while intelligently adapting to the homeowners’ habits to self-regulate the building’s systems. This home of the future lets you control all its systems remotely via smartphone. 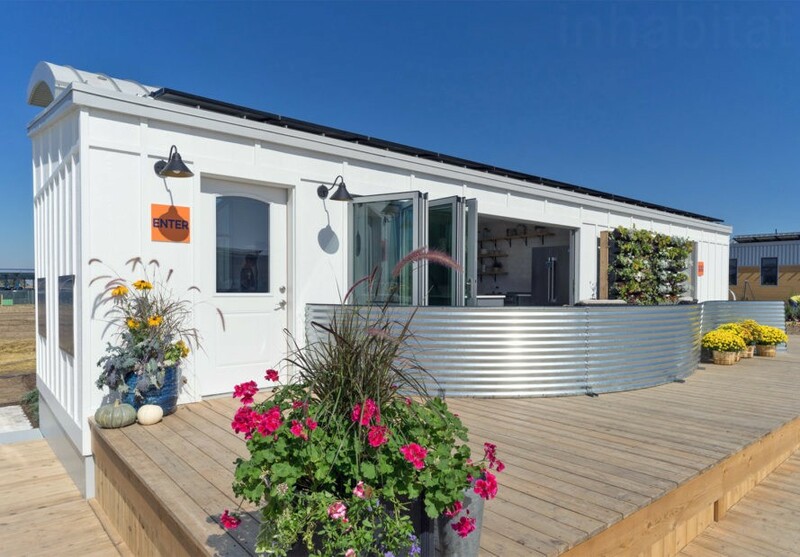 Designed by the Missouri University of Science and Technology, SILO (Smart Innovative Living Oasis) is a light-filled abode that combines cutting-edge energy-efficient technology with traditional farmhouse architecture. 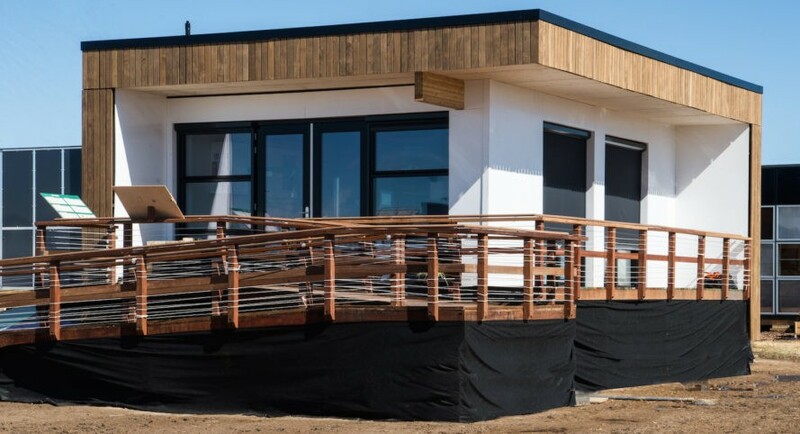 Students from the University of California, Berkeley and the University of Denver teamed up to develop RISE, an affordable and sustainable housing solution that can be stacked and expanded like building blocks. 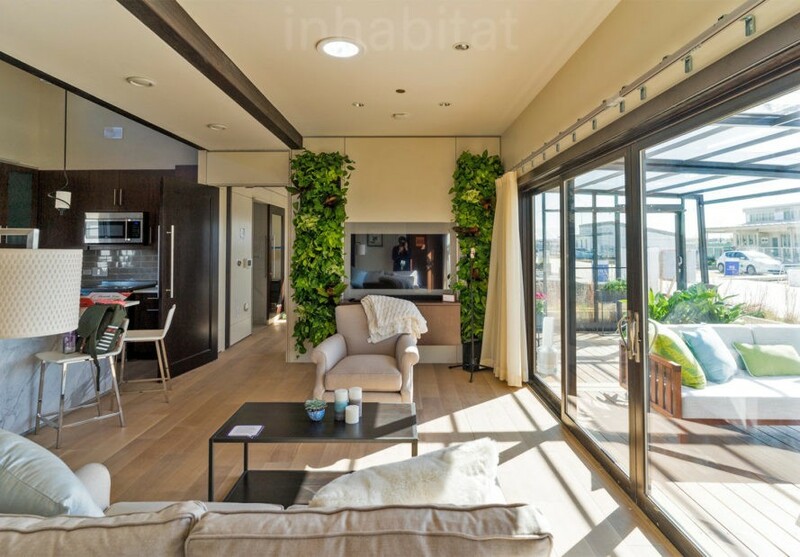 Envisioned for urban infill lots, this prefab solar home is incredibly flexible from its scalable size to its customizable floor plans with moveable walls and transforming furniture. Built entirely of prefabricated concrete, the Crete House by Washington University shows how concrete can be a beautiful and sustainable building material. 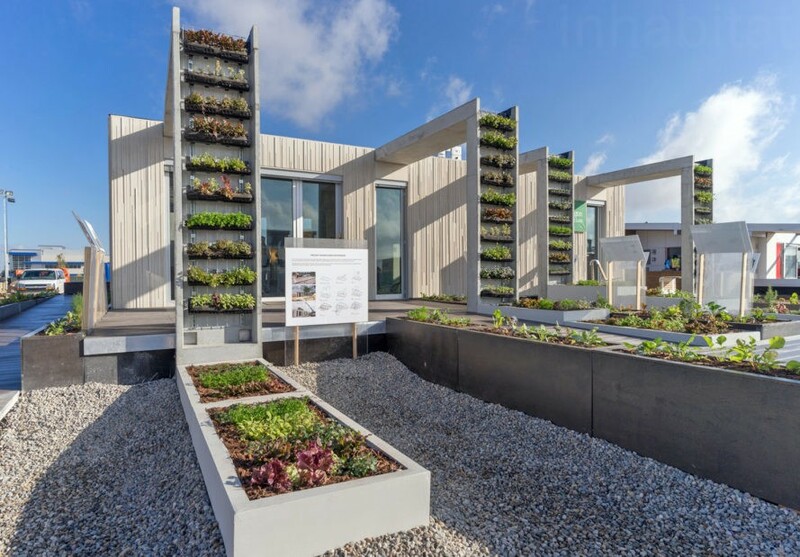 Resistant against fire, moisture, mold, earthquakes, and extreme weather, this self-sufficient home also shows off its stunning rainwater harvesting system that feeds into an outdoor hydroponic growing system. Like its name implies, the University of Alabama’s SURVIV(AL) house was designed to withstand the effects of extreme weather, like the 2011 tornado super outbreak that claimed hundreds of lives in Alabama. The home serves as an energy-independent shelter and boasts a “safe room” tucked below the home’s sub-flooring equipped with a water filter system that can purify up to 10,000 gallons of water. Created to meet the needs of an aging population, the Enable House by Northwestern University is energy efficient, beautiful, and adaptable enough to fit the needs of homeowners desirous of “aging in place.” Greenery and a natural materials palette dominate the light-filled design that prioritizes a healthy indoor environment year-round. 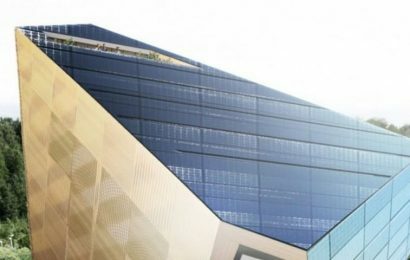 University of Nevada, Las Vegas’s Sinatra Living was designed to appeal to aging empty nesters attracted to retirement in sunny Las Vegas. 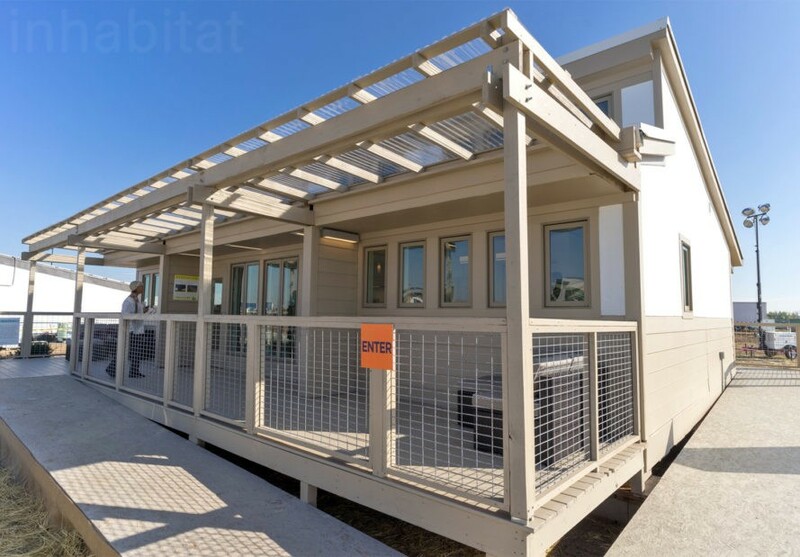 The health-conscious, energy-efficient home for active aging citizens boasts handicapped-accessible features, a fall detection and alert system, and an easy-to-use home automation controls. HU University of Utrecht, Netherlands developed Selficient, a modular eco-friendly home inspired by LEGO. Like the popular building block toy, the smart energy home is infinitely configurable to different needs and can be expanded or scaled down. Conceived as a “forever home,” Team Daytona Beach’s BEACH House—short for Building Efficient, Affordable, and Comfortable Homes—is targeted at future Gen-X retirees. The design blends sustainability with traditional South Florida architecture and beauty.